I need to go back to Budapest. I was there for five days and packed lots in, but I’m regretting all the things I missed. Museums I overlooked, streets I forgot to meander down, food that went untasted and views unseen. 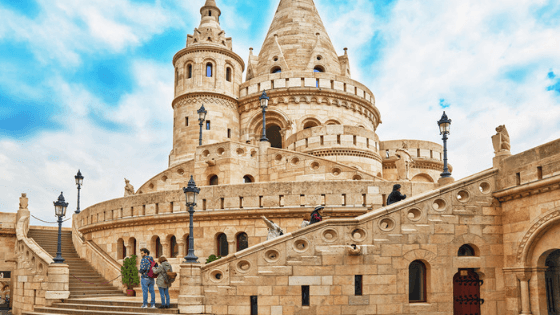 Budapest is back on my list as a city worth revisiting. 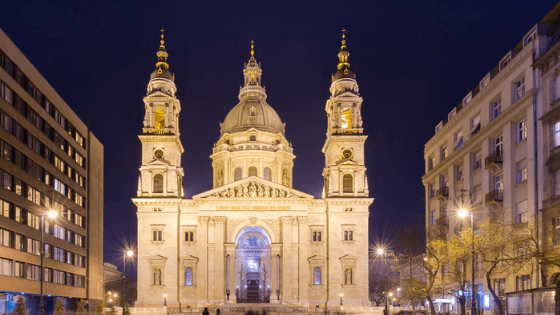 I arrived in the Hungarian capital after almost a month of touring Eastern Europe, and it was instantly my favourite. More beautiful than Prague yet far less touristy, and as delightful as Vienna but with a grittier, more lived-in feel that suits Joburg ruffians like me. And way more affordable than both. 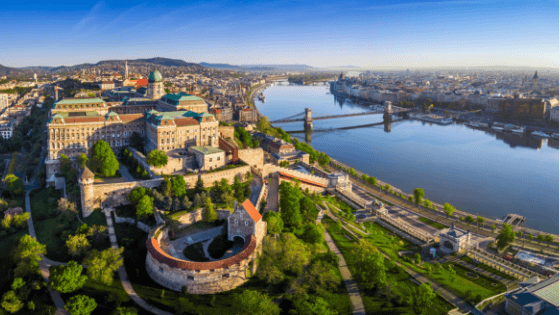 Once it was two separate cities: Buda, built over a crazy-paving of hot thermal springs and gentle slopes; and Pest, across the river on flat plains. The two are now intertwined by bridges and tunnels, with each side delivering fabulous views of the other. In tourist terms it’s largely undiscovered, although numbers are climbing and I fear a flood is coming. But that’s nothing new. Centuries ago the place was all the rage with invaders surging in from every angle and leaving a medley of lingering influences. Then the communists stomped in, and Hungary practically closed. It became a place nobody wanted to visit, and I’m not even sure you could, in those dark days after the Russians ‘liberated’ the country from German control in the Second World War, only to impose a brutal communist regime. “Which was worse, to be occupied by the Nazis or the Communists?” I heard an American ask in one museum, and his exasperated guide refused to answer. Those days are long gone, although there’s a curtness to the locals that can be mistaken for rudeness. More likely it’s the practicality of surviving tremendous hardship and deciding the concept of ‘have a nice day’ is too precious to cheerfully lob away on irrelevant strangers. A lot of Hungarians speak good English, which is handy because you’ll never master the language in the brief span of a holiday. It seems completely unfathomable for anyone not born to it, and it’s one of the most difficult in the world to learn, boasted my guide on a free walking tour. Her tour began at St Stephen’s Basilica, one of the many buildings I admired from the outside and never found time to enter. As we walked she gave us nuggets of history and snippets of trivia, telling us it was a Hungarian who baffled us with the Rubik’s Cube, and that Biro pens were invented by Laszlo Biro, who then modified his idea to create roll-on deodorants too. Ah yes, I’d never spotted that design link. Escapologist Harry Houdini was also Hungarian, although the Houdini Museum is less fun than it sounds. It’s in a small house with only a few original items owned by the man himself. At the end a magician performs a few card tricks, but it doesn’t do him justice. The museum is on Castle Hill, a district filled with medieval monuments and the castle itself, first completed in 1265. Since then it’s been ransacked and rebuilt a time or two, and the current massive Baroque palace was built between 1749 and 1769. It contains three museums and the national gallery, and if you’re lucky, your visit will coincide with the marching of the stern-faced palace guards in their spiffy outfits. 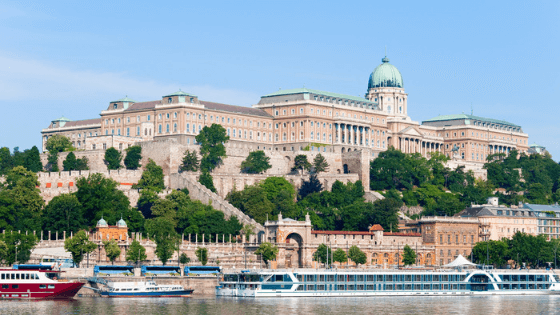 Castle Hill gives you sweeping views over the River Danube to Parliament on the other bank, the most stunning sight of all. It’s a fabulous white creation that was completed in 1904, and it’s the third largest parliament building in the world – ironic for a country that quashed democracy for decades. I’d rented an apartment on Andrássy Street, Hungary’s version of the Champs-Elysees and strolled out into the warmth on my first night. The streets are lined with ornate buildings with shops at ground level and apartments above. I admired the glorious Opera House, gazed into department stores selling Gucci and Chanel, and ended up in a park where a giant Ferris wheel festooned in silver lights twinkled above me. The bakeries and kebab counters smelt divine, the vibe was friendly, and the buildings gorgeous. 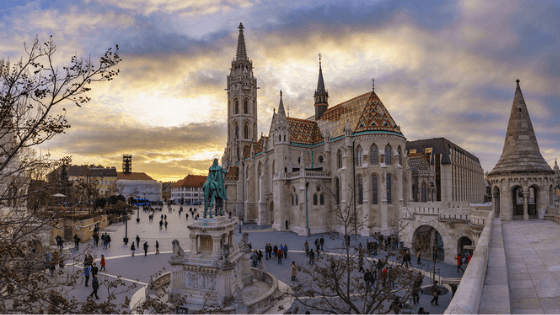 Each street tempts you down it with another mighty Renaissance, Baroque or Gothic beauty, interspersed with a few dreary communist blocks that were rapidly erected to fill the gaps created by wartime bombs. One morning I’m exploring by the Danube when I grin with delight because I’ve found the public boat stop. I’m already armed with a week-long transport pass to hop between underground trains, trams and buses (a bargain at about R242) and it covers the boat too, so I hop on board. You can cruise the Danube on a tourist boat, of course, but I preferred the hard working and decidedly unglamorous public boat, with wooden benches and an engine belching out black smoke. I commandeer a seat on the upper deck and spend about three hours chugging up and down the river. At one stage the tannoy announces that we’ve reached the end of the route and the boat is now out of service. I gulp. I’m so far upstream I’m practically off the map, well out of the tourist zone. I pour over the timetable and figure out that the service will resume in 45 minutes. It does, and I climb back onto the same boat with relief and chug back towards civilisation. Another five hours disappears in a flash at the Turkish baths. The city is studded with public baths as a legacy of a Turkish occupation, and I finally settle on Kiraly, one of the most historic. It’s wonderful, with an octagonal thermal pool surrounded by hot and cold baths and a steam room. I pay extra for a massage, and an old Hungarian giant pummels my back for 20 minutes that lasts for 30 as we bumble along in English and Spanish. My masseur had lived most of his life under occupation, and now that things are picking up, he’s too old to enjoy it. The Soviet forces withdrew in 1991 but things haven’t really been too rosy since. At least I think that’s what he said, and his sad expression certainly conveyed that idea. I loved Kiraly Baths so much that two days later I try another, paying twice the price for four times the fun at Gellért Spa. This is a bewildering maze of Art Nouveau ostentation, with four thermal pools, hot and cold plunge pools, steam rooms and saunas, a colonnaded swimming pool and a fabulous outdoor pool. I’m swimming widths outside when a snippet of music from West Side Story fills the air and the lifeguard rings a bell. I barely have time to think “eh?” before the water heaves beneath me as a wave machine kicks in. Enormous fun! A bike ride the next day is equally entertaining. 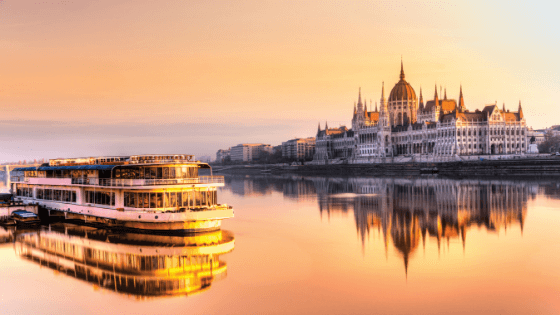 The guide sets a cracking pace down cycle lanes painted ominous blood red, but I’m soon laughing and thinking “bloody hell, I’m cycling by the Danube.” That isn’t something you get to say often, and I whisper the phrase again, just to savour its taste. Budapest wasn’t too badly scarred during the Second World War, although it certainly had its terrors. 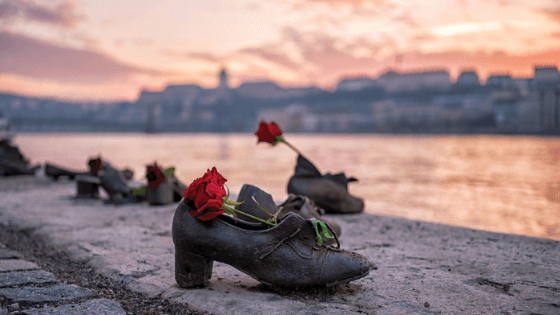 One moving memorial is Shoes By The Danube, a simple yet stunningly effective sculpture of 60 pairs of old-fashioned shoes cast in iron. The shoes are placed by the river in remembrance of thousands of people who were ordered to strip right there and shot, so they tumbled into the water. You can’t help but gaze down to see where the bodies would have fallen, piling up until the river washed away the evidence. Other wartime damage was cleverly repurposed, with ‘ruin bars’, which are drinking holes set up in bombed-out buildings. They’ve become so hip and happening that other venues are now deliberately being vandalised to look shabbier. The price of drinks can ruin you, too, if you hook up with one of the pretty girls who beguile the tourists. After a couple of drinks some intimidating henchman suddenly appears and demands that the tourist pays a vastly inflated drinks bill. I shun the ruin bars in favour of something more high-brow, and take myself to Erkel Theatre to see the musical Billy Elliot, sung in Hungarian with English subtitles. They’re fruity lyrics, and the Hungarian translator hasn’t held back, judging by the ribald laughter. There’s been a kerfuffle in the conservative press with demands that the show be cancelled because its gay elements could turn a young boy’s head. Which explains why the actors joyfully received 10 minutes of solid, defiant applause at curtain call. Yep, I like this gritty, undefeated city. 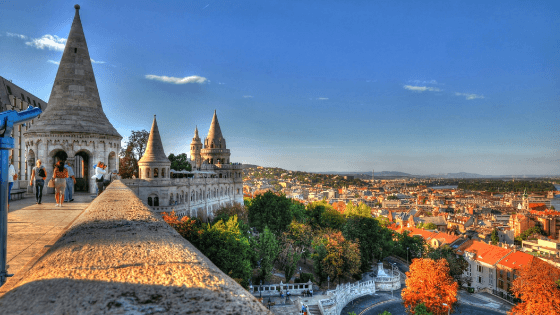 South Africans need a Schengen visa to visit Hungary. 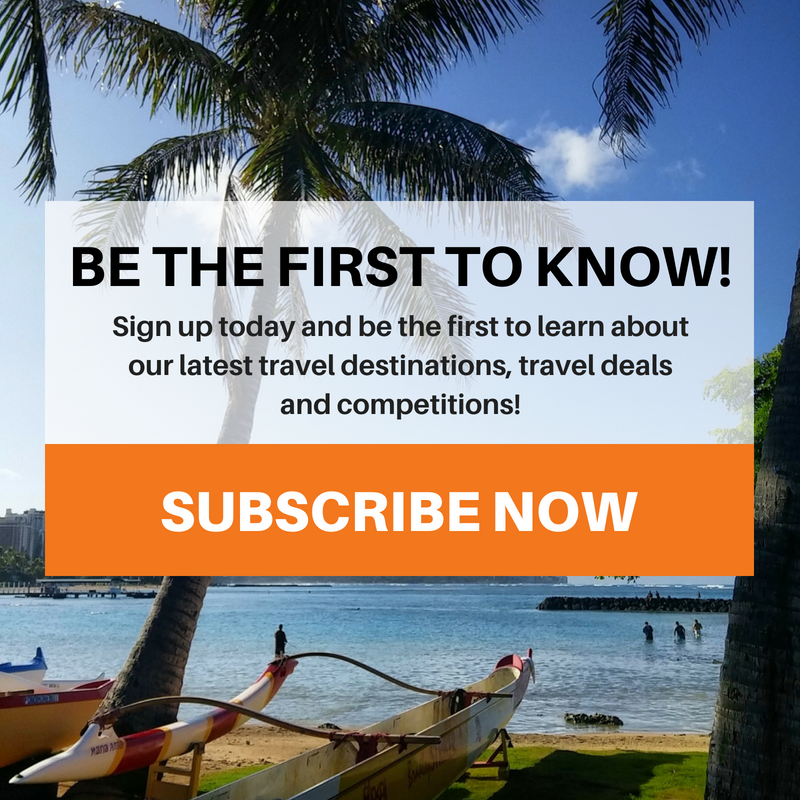 There are no direct flights, but good options include Emirates via Dubai, Air France via Paris or KLM via Amsterdam. The public transport system is excellent. An airport shuttle bus to the city centre runs every half hour, with tickets sold on board. Buy a transport pass to cover as many days as you’re staying, to use the underground trains, buses, trams and boats as often as you like. I rented an apartment in a grand old building using Booking.com. There are plenty of hotels, but I wanted to stay in the city centre without paying a fortune, although extensive bus routes make all the suburbs accessible.